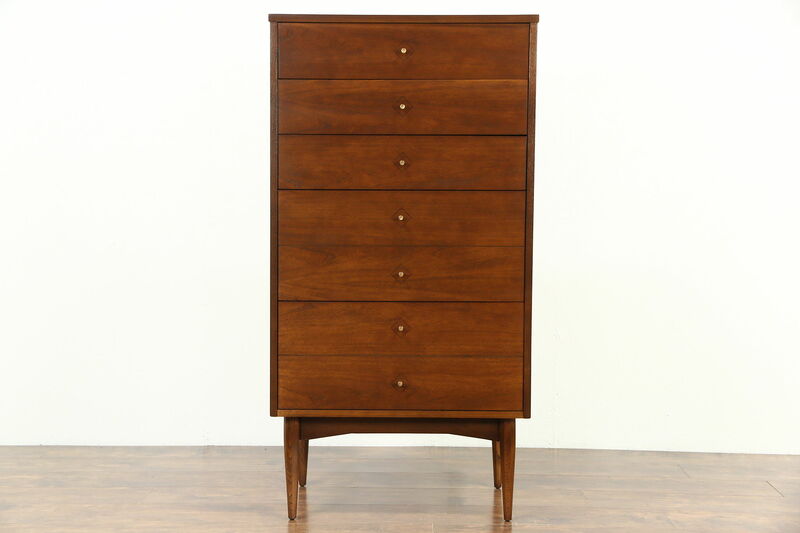 A Midcentury Modern tall chest or highboy is signed "Dixie" and has an excellent renewed finish. American made 1960's vintage furniture, drawers have solid oak dovetailed sides and original pulls. Overall size is 28" wide, 19" deep and 54" tall.